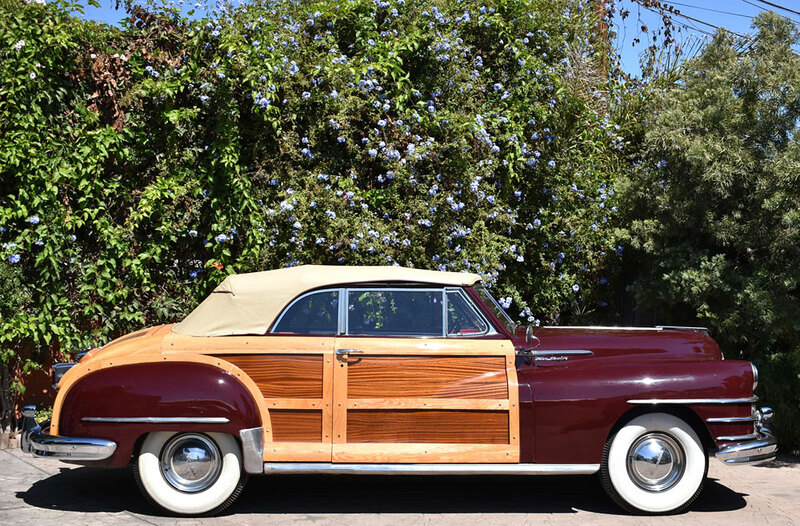 A 1948 Chrysler Woody Convertible, SOLD by Californiaclassix.com! 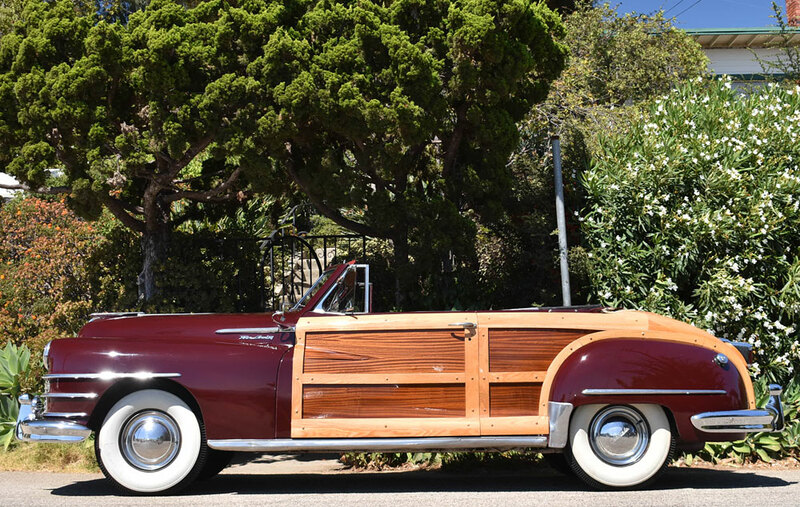 Few automobiles in the hobby of car collecting are as iconic and cherished as American Woodies from the 1940s. 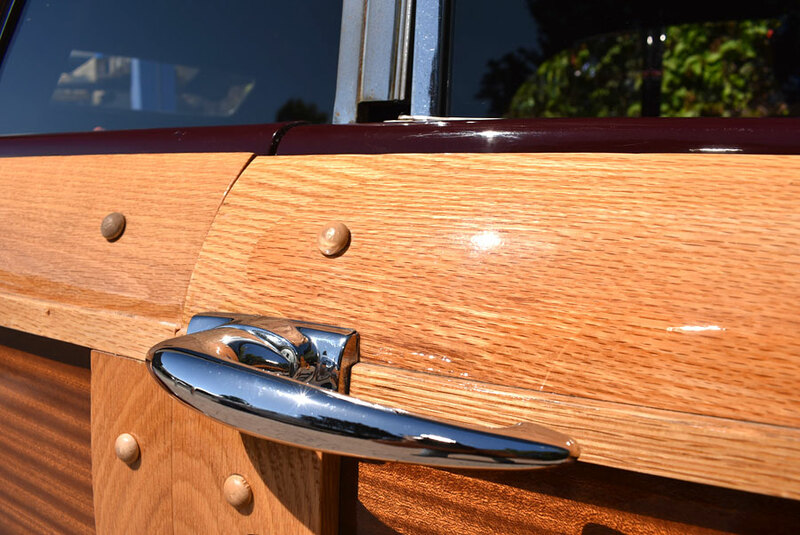 Due to their elaborate construction and strictly hand-made finish, resulting in exorbitant restoration costs, values of woodies have been steadily rising for many years. Leading the pack are station wagons (the proverbial "surfmobiles") and convertibles. 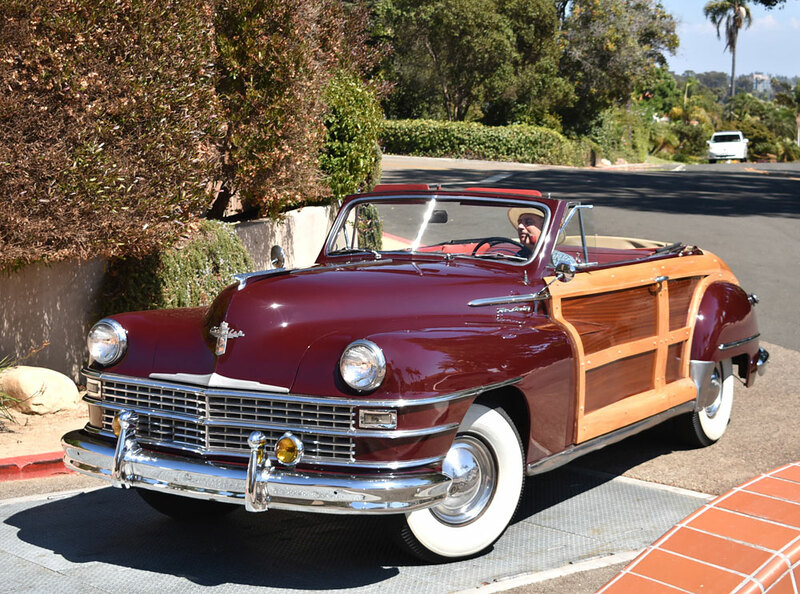 The 1948 Chrysler Convertible presented here is a great find. 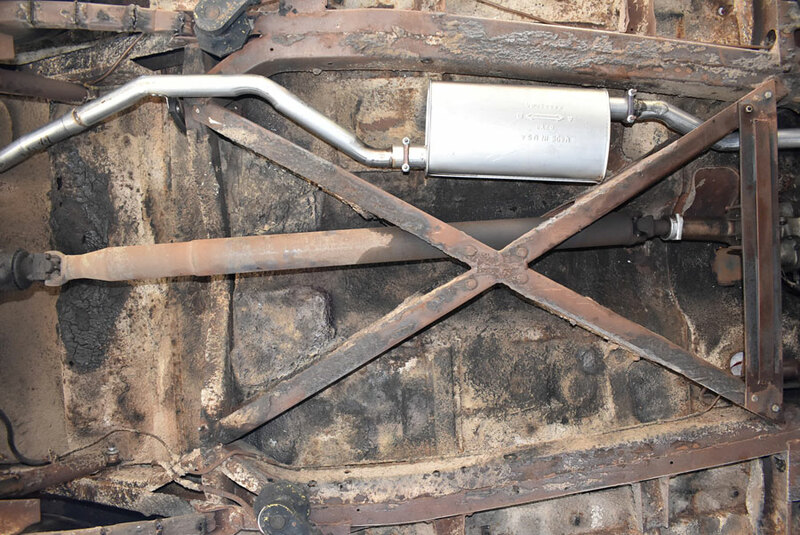 Featuring a mellow patina, it benefitted from some sensible upgrades to improve its handling and performance. 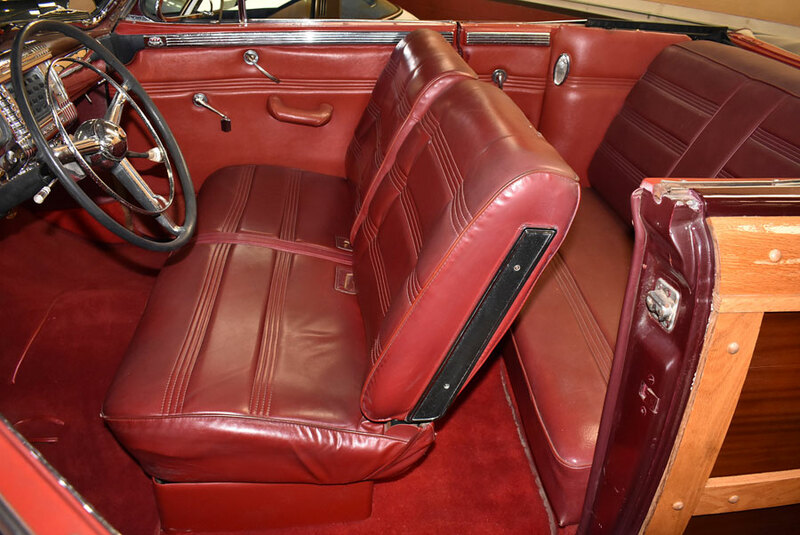 Born as a Windsor, the car's anemic flathead six with the weight of a boat anchor and the equally heavy and sluggish semi-auto transmission were replaced with a 230hp Chrysler 318 V8 engine from 1970, coupled to a 3-speed Torqueflite automatic of the same vintage. 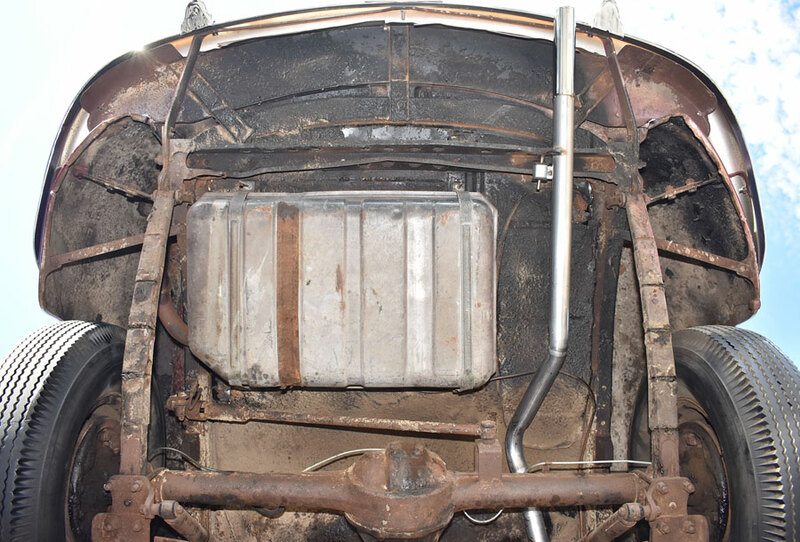 We recently had the radiator refreshed, installed a new battery, and had the carburetor professionally rebuilt. The engine starts on the button and runs as smoothly as you'd hope for -- light years ahead of its 1940s relative. There are no unsightly fluid leaks, nor is there any ill behavior to report. 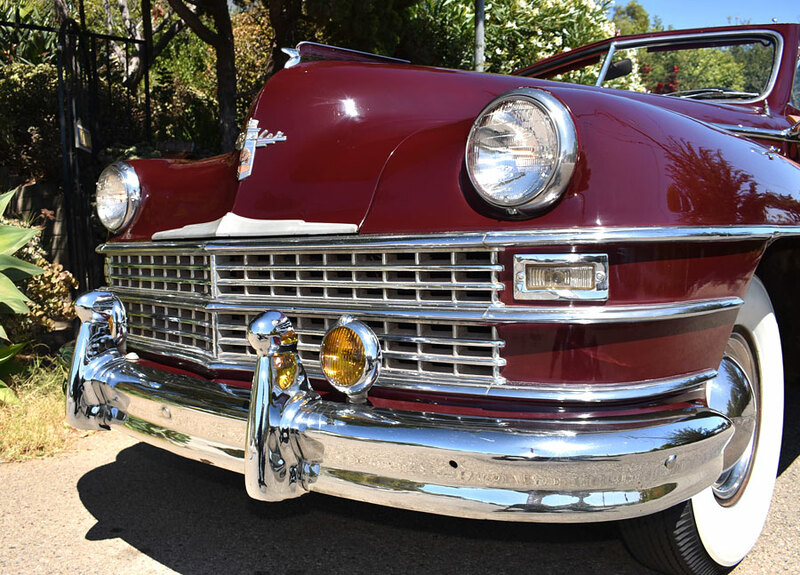 Having spent the last few decades garaged as part of a prominent Southern California collection, the car didn't see much use. It was rented out for movie productions a few times and has been enjoyed top down, around town, on special occasions. It's safe to assume that it hasn't seen a drop of rain in over 30 years. Apart from a few slightly delaminating veneer pieces, all of the wood is in very good to excellent condition. It's fair to assume that it has been refurbished at some point in time. 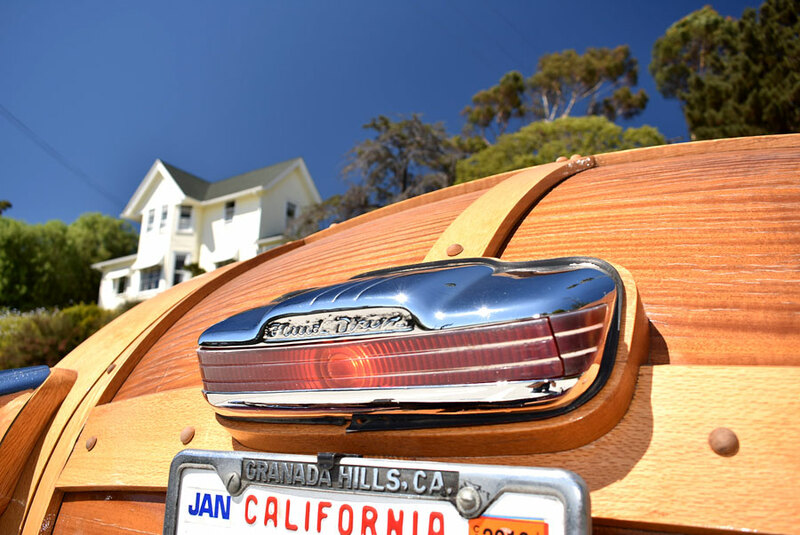 There are definitely no wood rot or termite issues, and the varnish is intact, smooth and glossy. 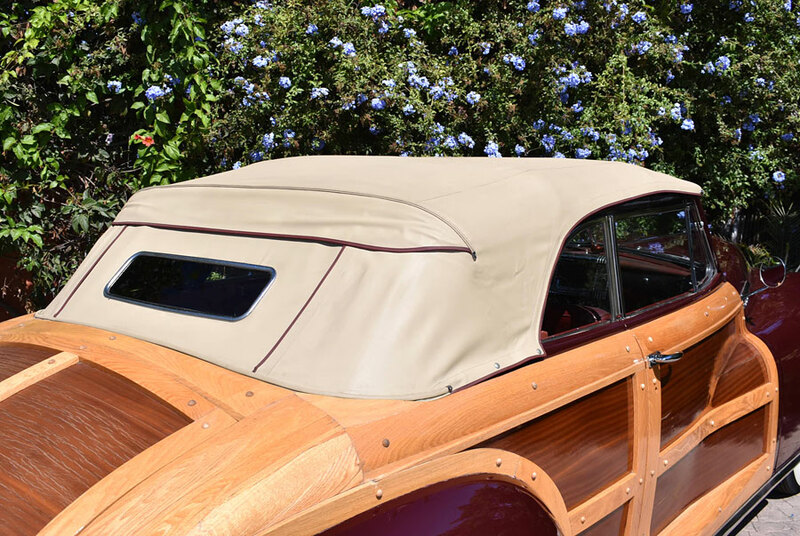 Tan canvas convertible top -- with black headlining and chrome-framed, glass rear window -- is in splendid condition as well. It opens and closes easily by hand. The huge, bread-loaf-shaped body looks as solid as a Sherman tank. The ancient burgundy paint holds a great shine, though you'll notice a myriad of imperfections upon close inspection. It's a fine patina . 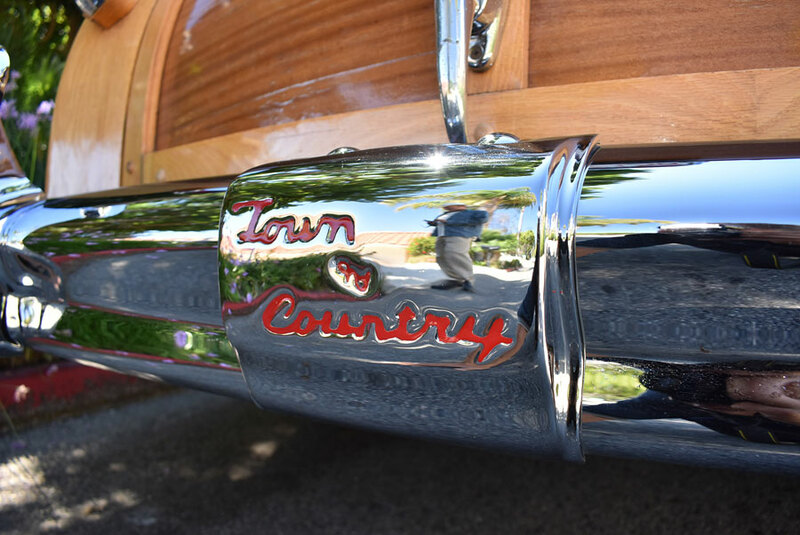 . . Chrome bumpers appear in excellent condition, as does most of the lavishly applied brightwork. With the exception of the driver's door window, which has some cracks, all of the glass is in great condition. 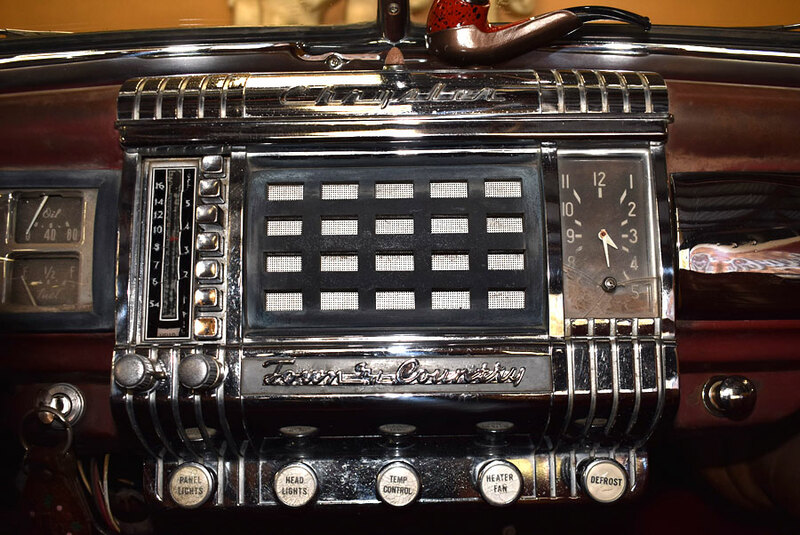 1940s dashboard is simple but elegant, with lots of chrome plating. 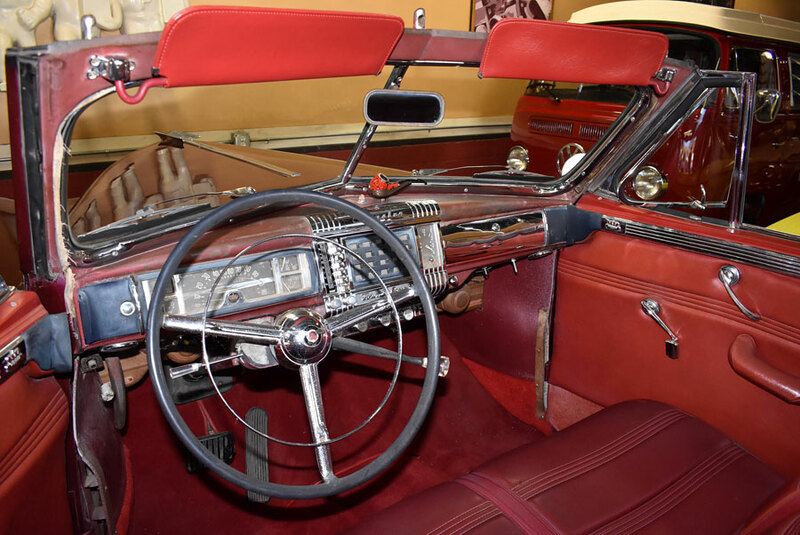 Note huge original steering wheel with chromed horn ring. The column-mounted gear selector for the fluid drive transmission has been adapted to work with the Torqueflite. Fitting: magnetic pipe holder and what is arguably the best art-deco radio ever devised. 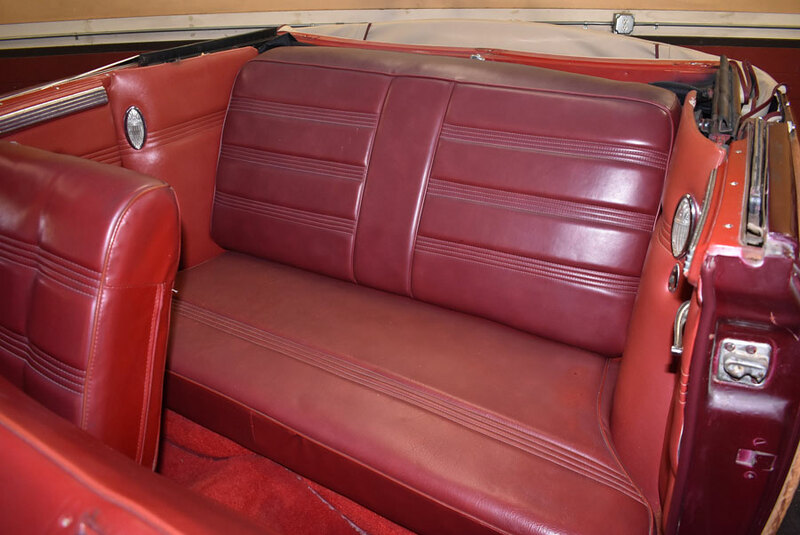 Dark red leatherette interior remains in fine condition throughout. Red carpeting is older but still nice. 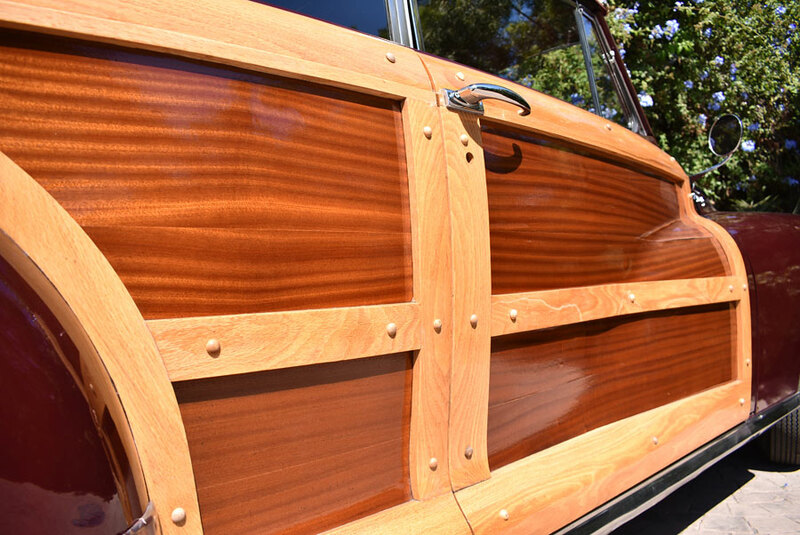 This woody seats 6 adults comfortably. 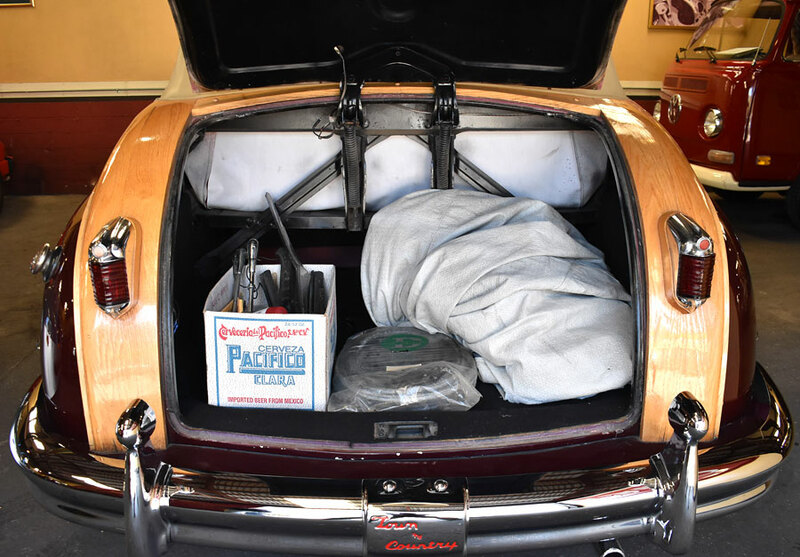 Cavernous trunk holds a car cover and various spares as well as a set of pillar-mounted spot lights. Super cool: center-mounted brake light. Historical vehicle plate comes with the car, if it stays in California. 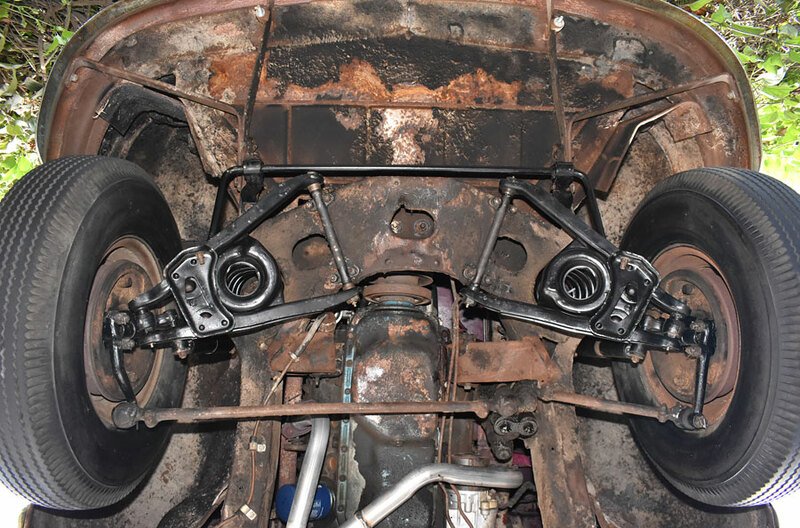 There's not much to write about the undercarriage; it's unrestored. 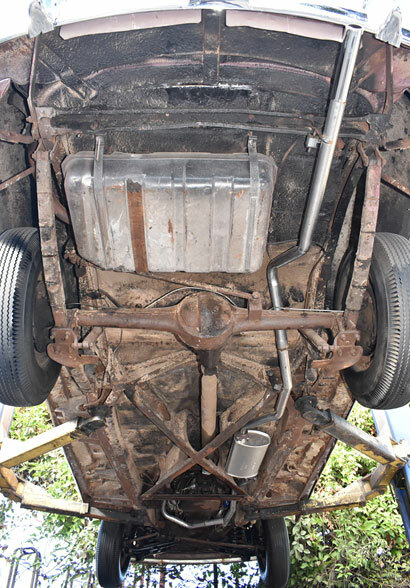 Fuel tank and exhaust are newish, front suspension -- with coil-springs -- has been completely rebuilt. The electrical system has been converted to 12 Volts. November 22nd was another fantastically clear and sunny day here in our little coastal paradise, and we thoroughly enjoyed our test drive and photo session. The car starts, idles, shifts, handles and brakes with aplomb. 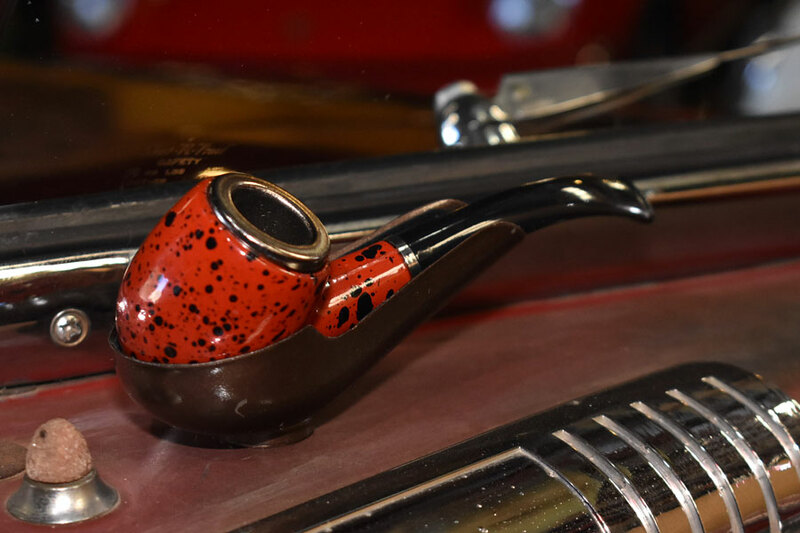 We would not hesitate to use it as our "daily driver." 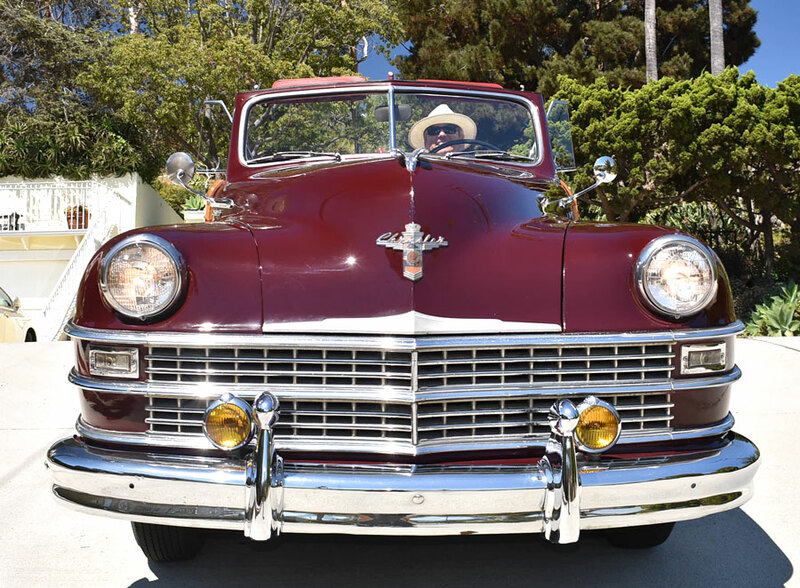 Needless to say, the big Chrysler elicits excitement wherever we park it and lots of "thumbs up" from other motorists as well. 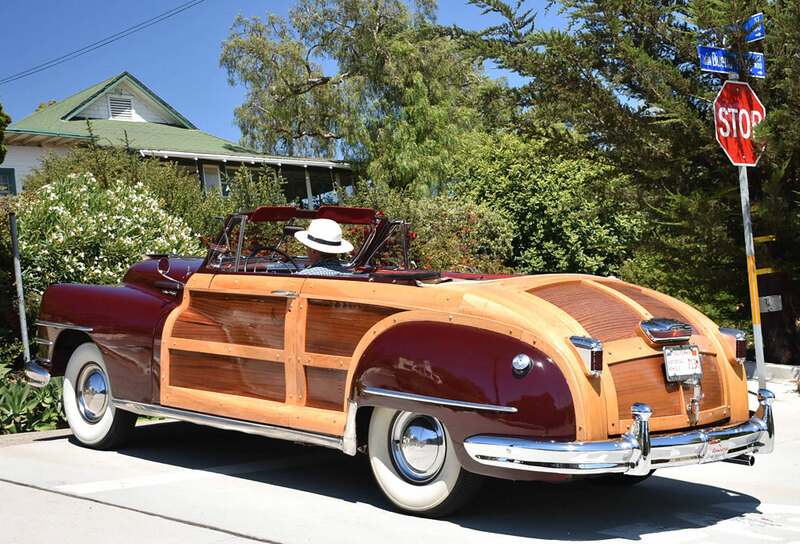 You just don't see cars like this on the road anymore, especially if they have to make do with the drivetrains of the 1940s that are not quite up to the challenges of today's more demanding traffic. 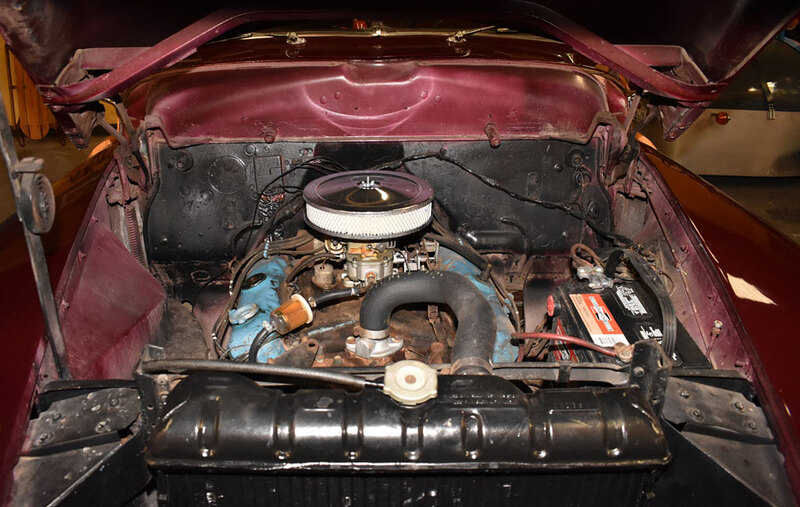 As a person who has been happily driving an otherwise stock 1950 Buick Hardtop with late-model running gear for more than 10 years, I know that a modern engine and transmission can make all the difference if you are planning on using your car, instead of just looking at it sitting in the garage. 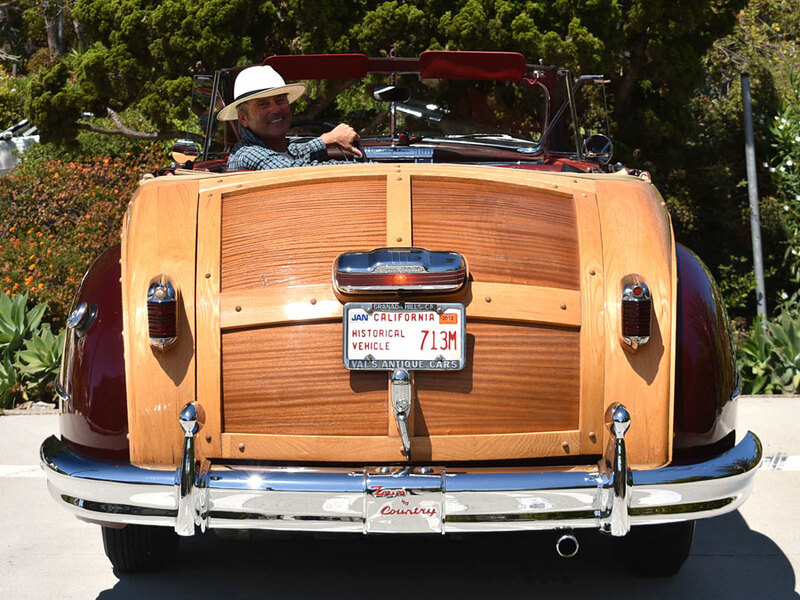 Happiness is driving your Woodie! 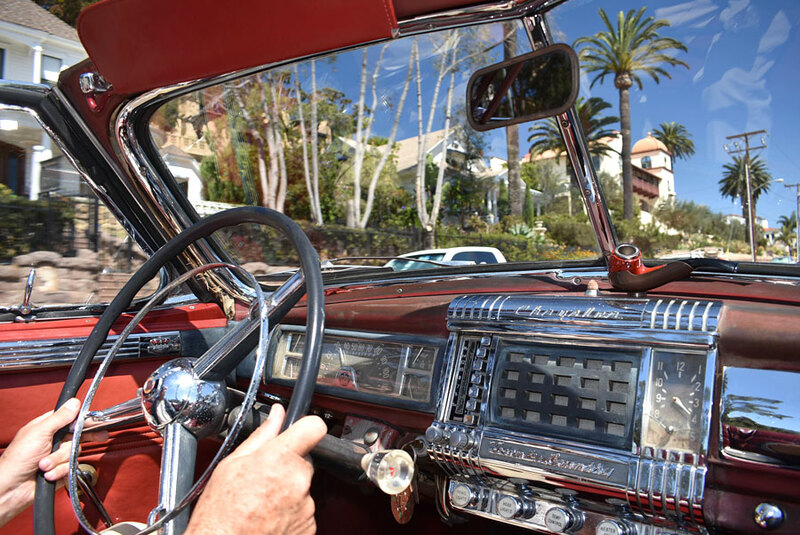 Many lovely details make this one-off Chrysler convertible a fabulous conversation piece at every enthusiast's gathering. 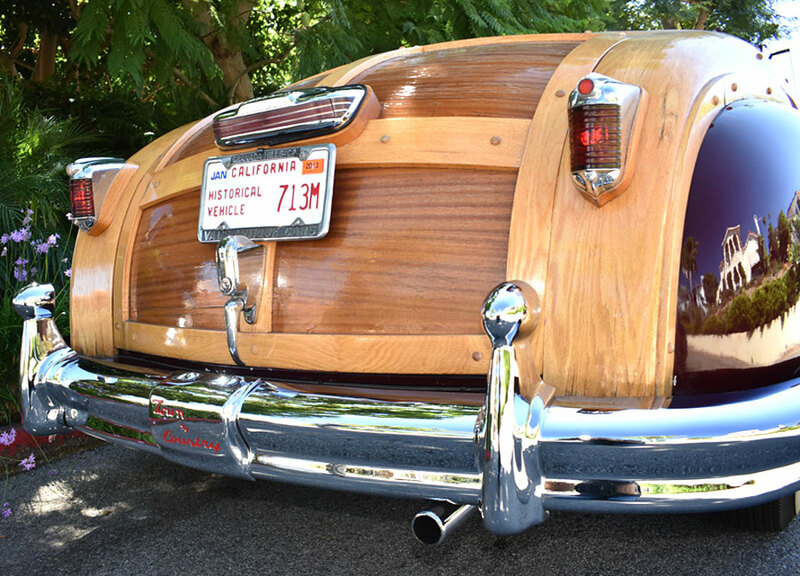 Best of all, you will be DRIVING this Woody to your local cars and coffee events, not trailering it! 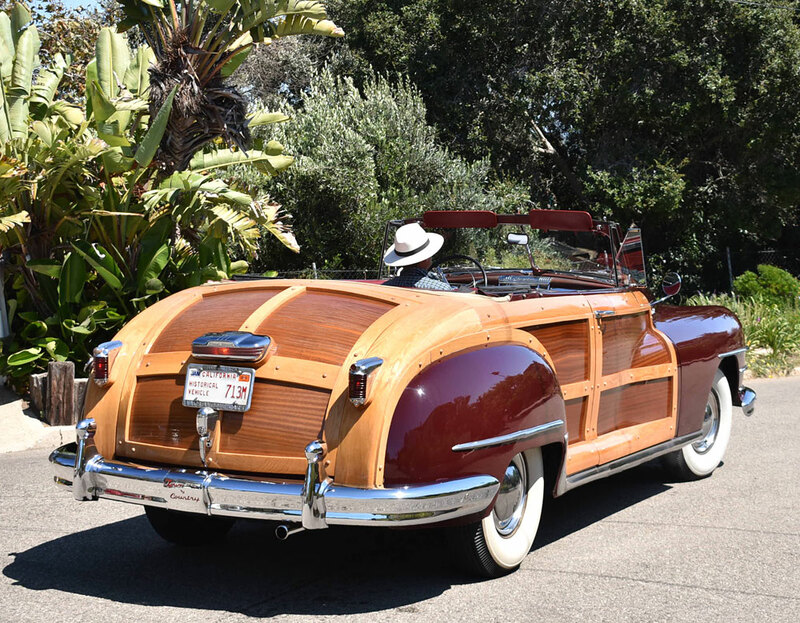 We sold this Woody in May of 2018. Back to Californiaclassix' Hall of Fame or Home.